Twist lid to adjust fluid flow rate. Drink from anywhere around the rim. 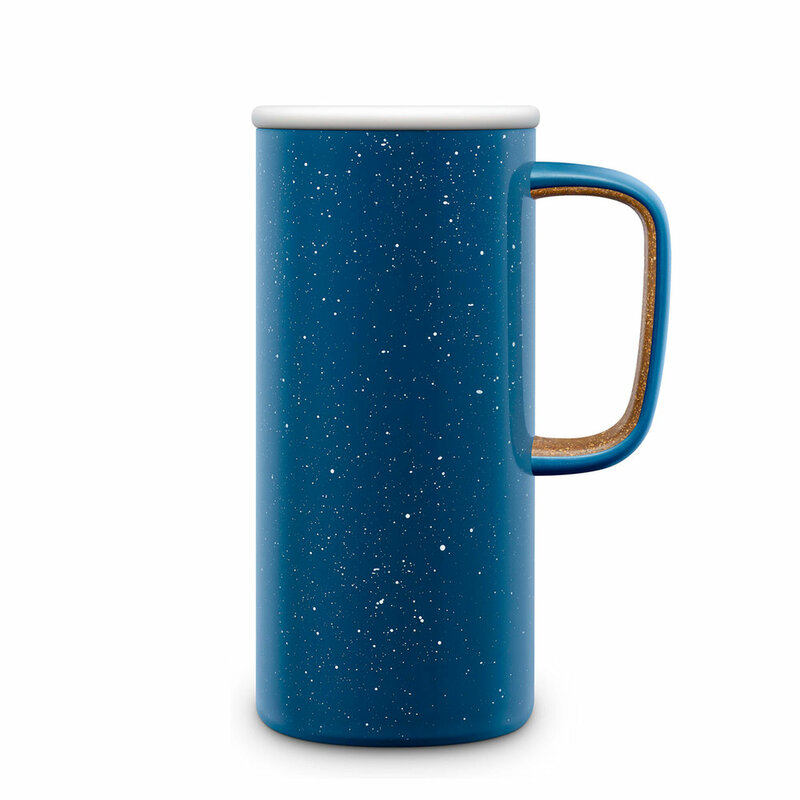 The Ello Parson vacuum insulated stainless steel travel mug lets you drink from anywhere around the rim. Its unique lid lets you dial to adjust fluid flow rate - from fully open on Monday morning to controlled sipping while driving. The Parson 16-ounce double wall vacuum insulated stainless steel travel mug keep beverages hot for up to 5 hours and cold for up to 24 hours. A silicone band provides a no-slip, comfortable grip. To disassemble lid for easy cleaning: dial lid to open position, then squeeze tabs on underside of lid and pull to separate parts. To reassemble, turn lid to open position and align arrow to snap parts back together.